Feel on top of the world with stylish loft living, leaving plenty of space below for adding our fabulous and versatile stompa storage units. The bed frame is mainly produced in solid pine ensuring strong, long lasting quality and the coloured headboards and desk in MDF. 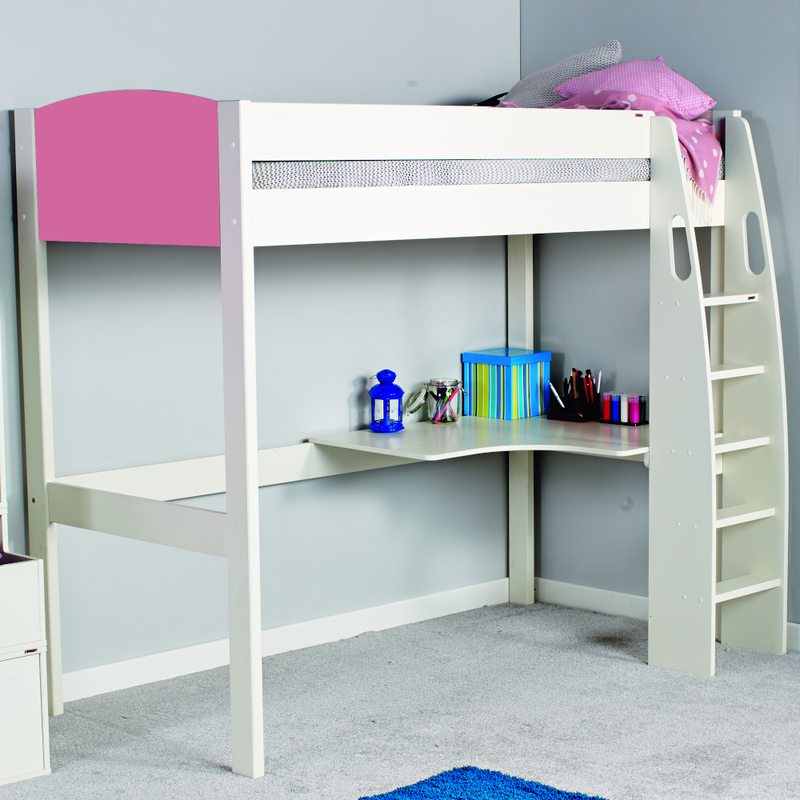 Includes Uno S Highsleeper with integrated Desk. 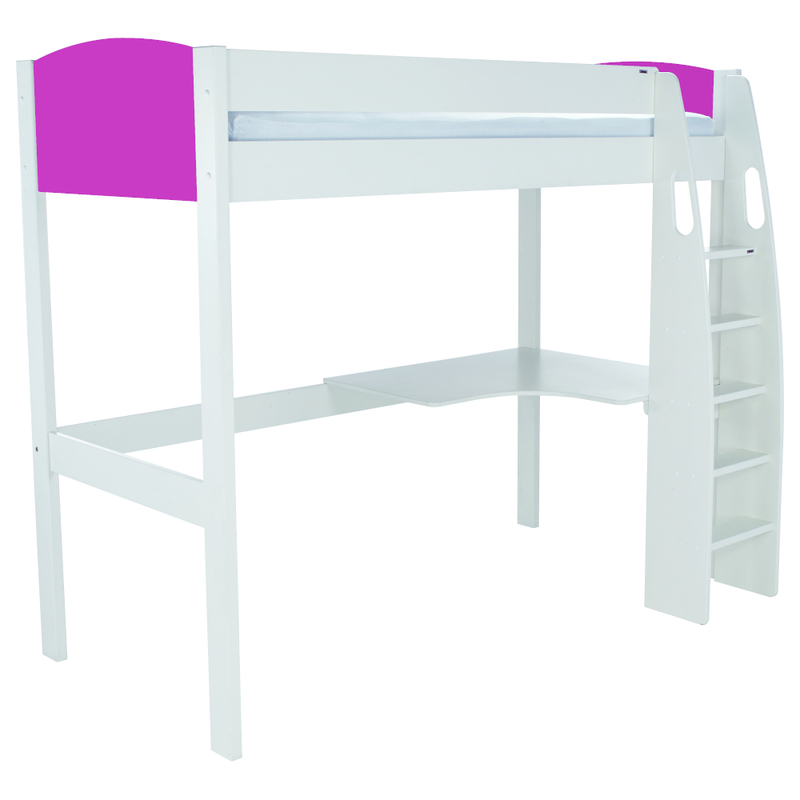 Ladder and desk can be positioned either side of the bed. White lacquered finish with pink lacquered headboards.